Ebube joined Energy Aspects as a Data Engineer in January 2019. His previous experience in the start-up and financial industry includes Experian (as a data engineer) and JP Morgan (as a technology developer analyst). 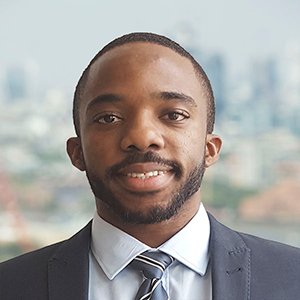 He graduated with a BSc in computer science from Queen Mary University of London in 2018 and will be working to develop data warehousing, data ingestion and ETL and automate modelling as part of the Data Management team.